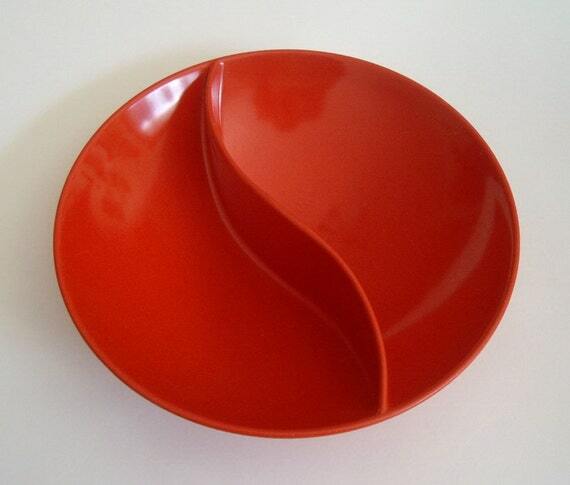 Melmac Dinnerware Vintage Plastics Melamine : What Is Melmac Dinnerware Worth? 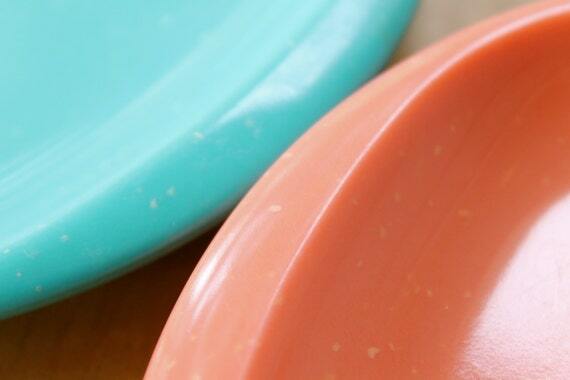 What Is Melmac Dinnerware Worth? Trivia Quiz: This melmac bowl is odd, do you know why? "What Is My Melmac Worth?" I get a lot of emails asking "What Is My Melmac Worth?" I'm going to answer that questoin, but first I wanted to catch up on a few things. Melamine Dinnerware, where have you been all my life? I know, I've been lax in writing. Life has been so busy and my regular projects take up all my time. My real life schedule is not nearly as fun as my vintage hobby. My husband's bbq business is out of control in a good way, but that means more work for me. The good news is he got me this super fast and spiffy PLASTIC LAPTOP!!! 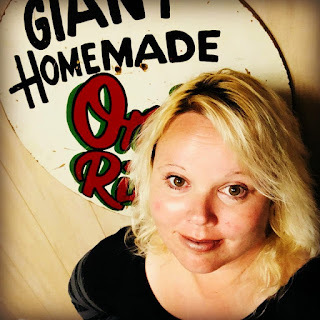 (By the way, I'd really appreciate if you use Instagram to thank him in that post so he knows people read my blog...) Suffice to say, Melmac Central will be getting some upgrades, we have a new do, and we are working on me getting some time off to to write for good behavior! I can't believe Melmac Central is over four years old! I will be ditching some other projects and vow to write more this year, as one of my resolutions will be to post more frequently! Thanks for all the page views and nice messages. I wanted to show my appreciation to you by sending you this lovely melmac rainbow. RED - In my opinion, red Melmac is hard to find. I often wondered why this was. I would have thought red a hot color. Fun fact, I was recently told McDonald's used the red and yellow colors as it's proven in marketing to make you hungry. I have not verified that, but if so, why not red melmac? VALUE: In my opinion, red melmac is going to be worth more than most colors, as it is harder to find. A set could really fetch you some great cash. I have seen only a few designs that have true red, one is Oneida. A set for six went for a whopping $120 in great shape. Red and white designs are going to be popular for those decorating a vintage RV or kitchen. PINK - Beware when collecting pink melmac items for two reasons. One, it's addicting. Two, the different manufacturer's pinks don't match. The whole reason I started collecting melmac was thanks to being OCD about matching up some pink saucers and bread plates. Many moons ago. I was in my first apartment and had been living on grilled cheese and Spaghettio's, feeding two cats and trying to make ends meet. (You could dip the sandwich into them, so it was very functional back then, don't judge me...) I lived in thrift stores and flea markets on a budget, so shopping gave me a zillion pink dishes and none of them matched. I was quite upset that even same manufacturer's had many different hues of pink. 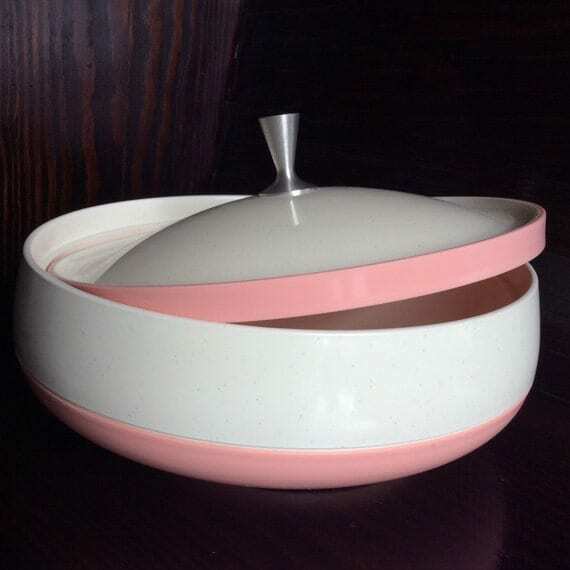 Wasn't until years later Dennis Teepe, a fellow collector and wonderful author of the Branchell Plastics History Website gave me my first Russel Wright pink plastic plate and voila, a collector was born. VALUE: A nice pink set in good shape, will fetch you a nice penny. Pink is highly desirable as it's a fun and pretty 50's color. Obviously rarer and designer names like Russel Wright, Lucent, etc will fetch you higher than a more common brand. Pink flowers on white may bring you $25 for a set of four in good condition, more for excellent. Pink is always pretty, but because there are so many different pinks, it is overall common. Loneweever has it going on with these great melmac pincushions on Etsy. ORANGE - This is one of those colors you either love, or hate. I have to say, over the years orange has grown on me. 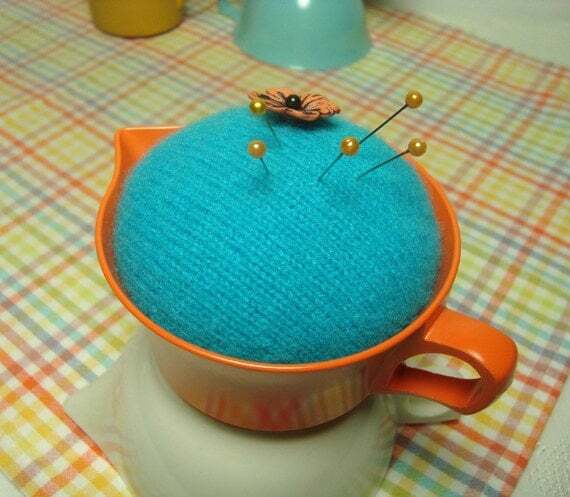 In this case, it's a must have against the retro tablecloth. This seller has up-cycled this old creamer into something useful. What a great idea for old cups that may have stains in them. One good way to keep them in use and out of the landfill! VALUE: Aside from some of the funky 50's makers like Russel Wright Residential , Branchell's ColorFlyte, or Kenro's red orange speckles, regular old orange was highly plentiful circa late 60's and early 70's. I haven't seen a lot of orange going for high dollar. The more "mod" your design is the better. I have seen some really mod pod funky loop handle cups selling for a lot; but ultimately I think oranges, browns and olives done in that 70's drab won't bring you a whole lot. If you have a rare piece like an orange melmac Pitcher or Ice Bucket, that's probably going to be a nice go-with. Oranges are also hard to match, as not all makers stuck with the same orange. YELLOW - Yellow can be bright and sunshiny or muted canary. There's also the golden yellows of the 70's. Honestly, the collecting possibilities are endless. I for one do like the floral sets on white with yellow cups. I think it could add a ray of sunshine to your day. VALUE: The more "mod" your design is the better. but ultimately there is a huge overstock of the golden yellows of the 70's. Those "wheat types" which to me, are a dime a dozen. I sort of loop these in with the oranges, browns and olives done in that 70's drab won't bring you a whole lot. 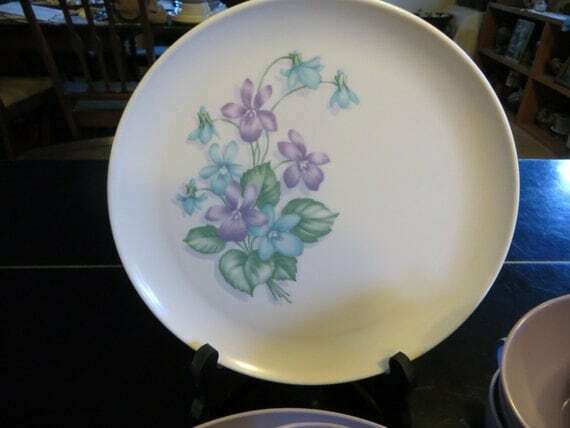 If you have a floral pattern dinnerware , let's say yellow roses and solid plates mixed in from the 60's you may get $25 to $40 for a set of 6 depending on maker and condition. If you have that bright sunshiney yellow in mod colors, you could piece meal it off. 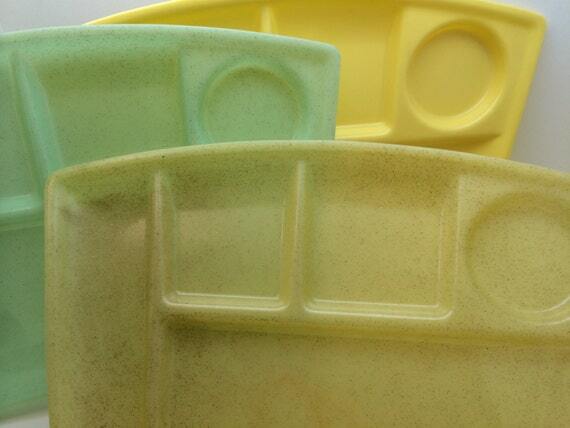 Russel Wright residential in Lemon Ice or Daileyware speckled yellow are also two sets that would gain you a bit more. Ingrid's modernistic or futuristic designs from Heller will bring you even more. GREENS: Greens can pretty up a kitchen and many choices exist. 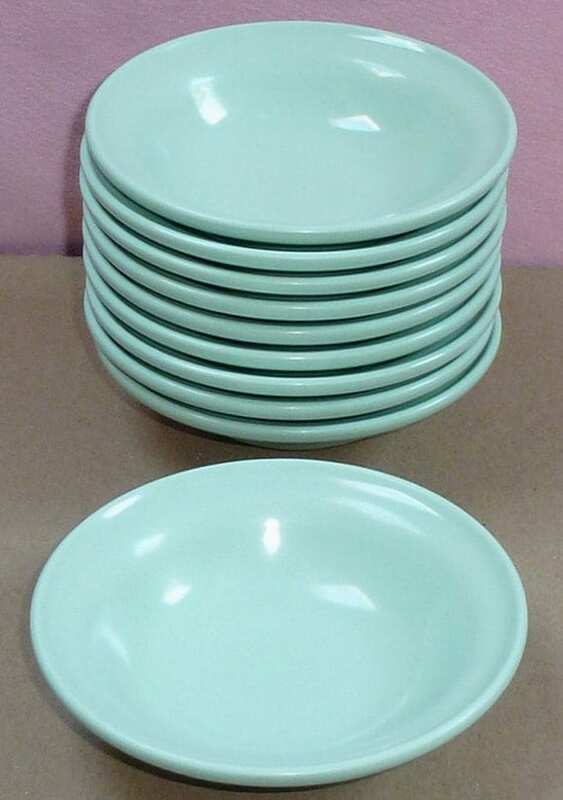 The dishes above are ones I personally collect and the pretty "jadeite" green goes with a lot of other lines. VALUE: The key here is to stay clear of those naughty olive greens so plentiful in the 70's. Sorry, I personally hate them. Limes and bright greens add a siesta to any table, and some of the most popular limes are by ColorFlyte. Jadeite colored melmac is highly desirable, as many people who go for a green and white jadeite kitchen may also enjoy a picnic set. Texas Ware jadeite will bring you a pretty nice penny. 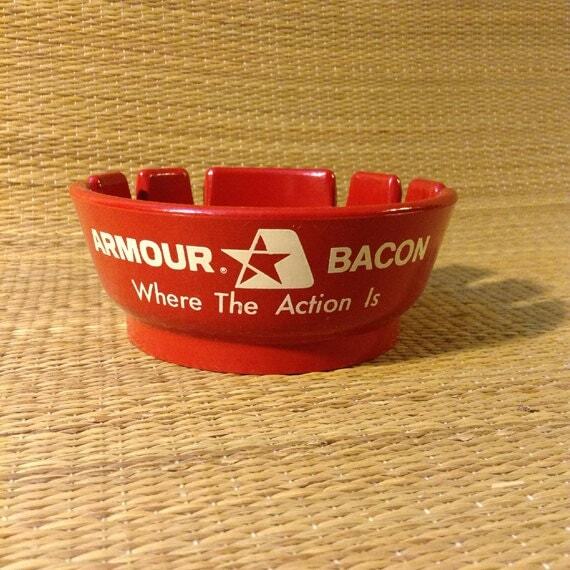 Early Boontonware in the jadeite will do the same. The jadeite are generally the same hue of green and can be mixed and matched. The other green to covet is Boontonware's early dark green yet it's very hard to find without severe scratching. Other dark greens that will go for a lot would be ColorFlyte's dark green. BLUES: There are so many different hues of blue. Let's be honest, blue is one of those cool 50's colors that everyone can love. Blue is common yet because of the plethora of patterns or styles, you can really go crazy trying to settle up on a set you like. VALUE: Robin's Egg blue or 50's bright blues will still bring you a pretty penny for a set. Desirable yet plentiful you can still assemble full sets of turquoise blue Boontonware, Russel Wright's Home Decorators or translucent Watertown. Expect that a full set for six in good shape can easily bring you $45 and up if scratches are hardly noticeable. Once you start getting into patterns, say blue flowers on white background, expect a bit less as patterns were more common. Expections to this rule include Brookpark's Tropicana above, which is a rare pattern in itself. 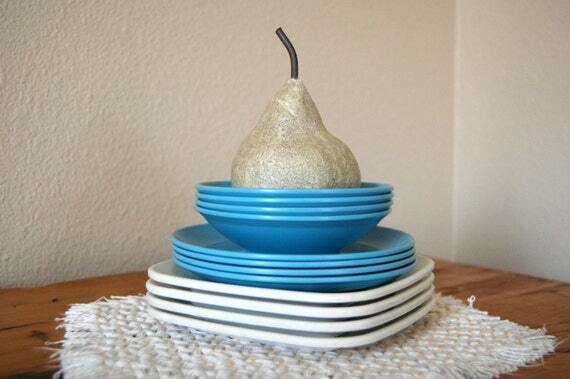 Highly rare is Boontonware's speckled blue....shown below. Good luck finding or assembling a set. PURPLES: There's not much purple in vintage melmac. Royalon's Corsage line is going to be the most popular, offering a pretty spray of violet flowers on white with solid purple accompaniments (above) and is popular enough that you can assemble a whole set. VALUE: A set for four or six will range from $25-$50 depending on condition and how many completer pieces--remember--since the Royalon was mass produced it's easy to find, yet that's a good thing when collecting as many people want a full set. If you should be lucky enough to find Texas Ware's purple, it's rare and you should covet it as not many pieces were produced. It's altogether different than the muted lilac above. 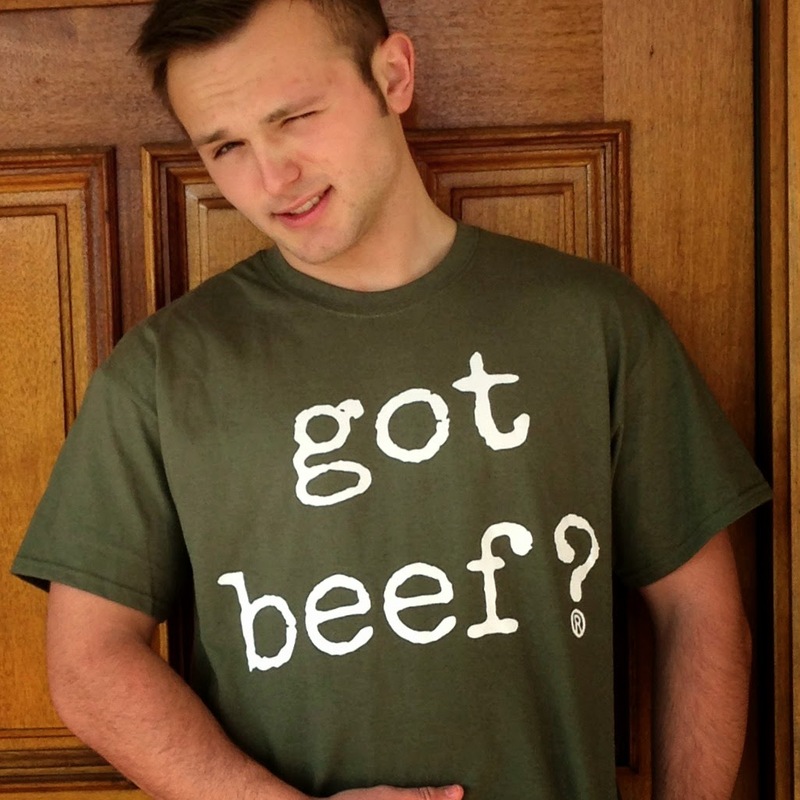 Thank you to Got Beef? 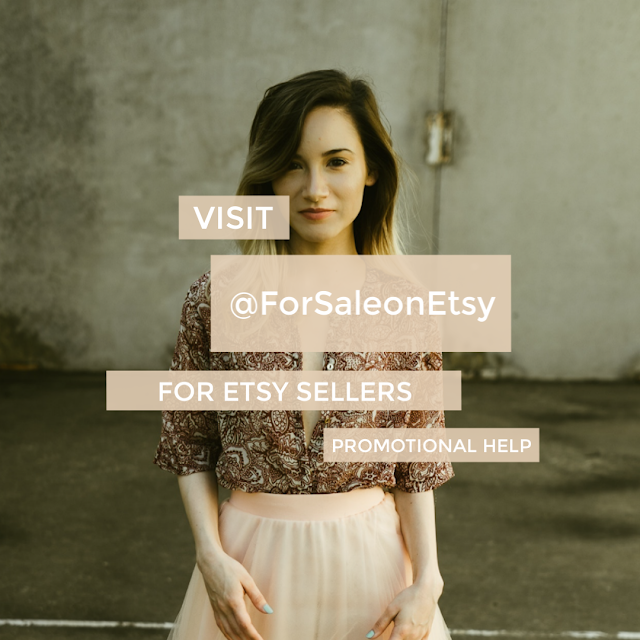 ® Store for being a prime sponsor of my blog.